I found this really cool pillow on A Beautiful Mess and I knew that my Daughter would love it, so today I decided to sew it. 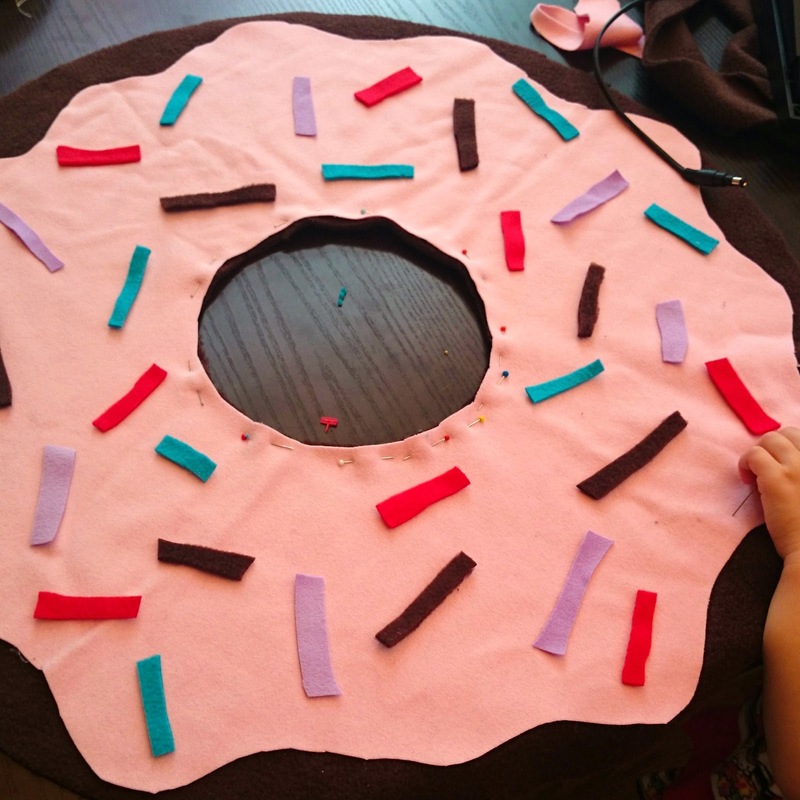 I used an Ikea mirror to make my template and freehanded the frosting part, but the next time I make one I will make it a little skinnier so it doesn't cover up the donut part too much. 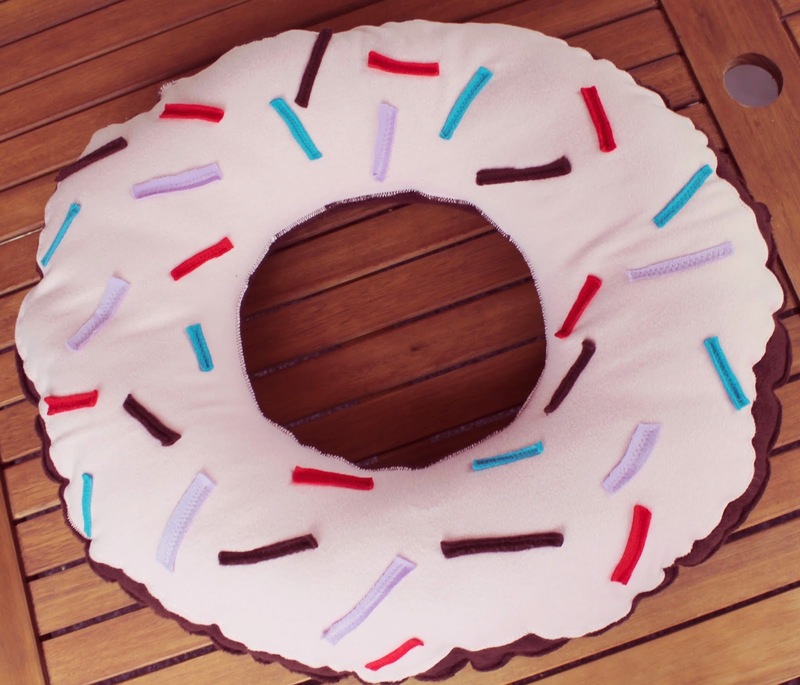 Being this is my first donut pillow, I love it! I used the fleece for most of it, including the sprinkles. I think I am going to make a cream-filled donut next and maybe a cupcake; who knows. They were fun to make and the kids love them.